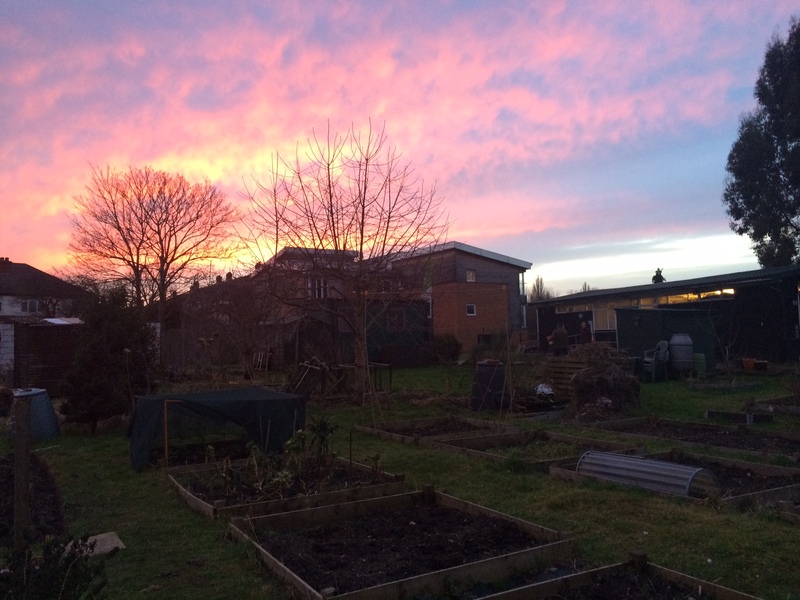 The days are definitely getting longer and the allotment is getting that spring buzz! I wasn’t the only one just packing up on Friday evening and admiring the lovely sunset. I bumped into Linda who wanted to let you know that there will be a working day in the Secret Garden in March – date to be confirmed. If you are interested in helping out speak to Linda or a committee member.